You feel it. That unmistakable twinge of pain. You even said to yourself moments ago, “Don’t pick up that box by yourself.” But you did–and you’ve hurt your back. Back pain is a nearly inescapable part of life, especially as we age. Around 60% of adults will experience severe back pain at some point in their lives, and it is most common in the lower-left side of the back. At FastMed Urgent Care, we know the causes of and treatments for back pain. If you’re experiencing lower-left back pain, or any back pain at all, don’t spend your time sitting in a busy ER or doctor’s office waiting room. 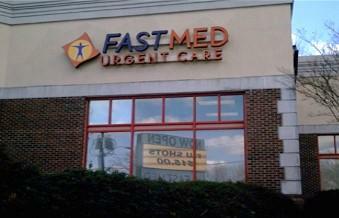 Visit FastMed for quick and convenient treatment any day of the week. Diagnostic tests aren’t always necessary to determine the cause of your back pain, but, in some cases, your physician may order you to have x-rays, an MRI or CT scan, or a nerve study. In the event that you do need an x-ray, FastMed has you covered. All of our clinics are equipped with x-ray machines, so you can avoid traveling off-site to have your x-rays taken. If you are experiencing lower-left back pain, visit FastMed today! For more information on lower-left back pain causes, prevention, diagnosis, and treatment, consult our health resources medical library.